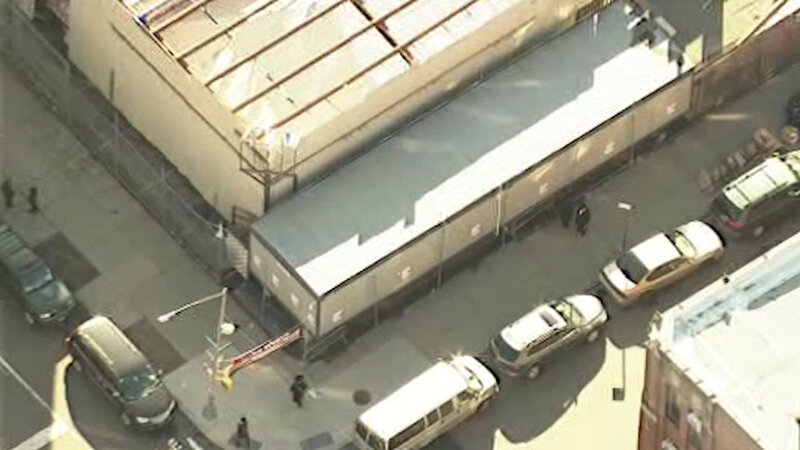 NEW YORK (WABC) -- Investigators responded to the scene of a school in Brooklyn where a trailer was allegedly being used as an illegal day care. Newscopter 7 was over the scene Tuesday evening in Borough Park. The trailer is adjacent to a private school. It's not clear how long the trailer was being used or how many children were being cared for.